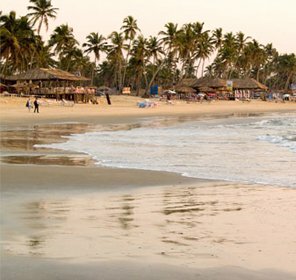 Beneath the shadow of Baga and Calangute beaches of Goa, Candolim is very much popular for its pristine touch and a lot of amusement options all around. 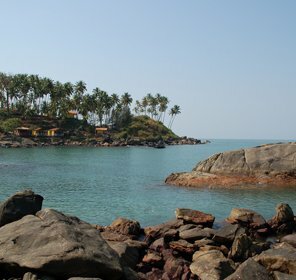 Located very close to Baga, this beach is counted amongst the loveliest spot for honeymoon couples, friends or families. It is endorsed by a crest of the dunes and lapped by the warm Arabian Ocean. 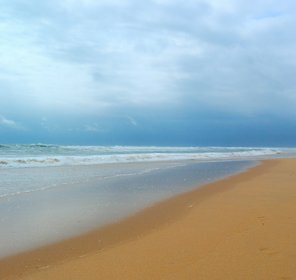 Just 14 km away from the north of Panaji, the white sandy beach of Candolim normally embellished by the scrub-covered dunes and draws a large number of travel enthusiasts from all across the world. 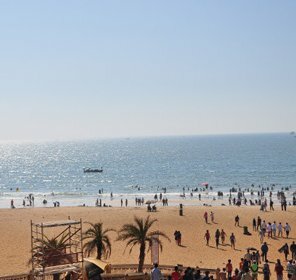 On the other side, the main road named as the Candolim Calangute road is fully packed with shops and restaurants, but no doubt the beach front has plenty of water activities like water-skiing, parasailing, bump rides, jet-skiing, catamaran sailing, banana rides and wind surfing. Apart from all these, fishing is also popular for the one who want peaceful environment. Side by side, meditation, yoga and massage have also gained huge popularity as visitors love to experience and enjoy such pleasant atmosphere. With a huge variety of seafood, different cuisines cooked in Goan style to handicrafts items and casual garments, everything you'll get there what you seek for. There are many hotels, resorts and guest houses ranging from luxury, deluxe to standard, which offer comfort and exuberant stay for travelers. They offer all kinds of recreational facilities like swimming pool and private beach access, etc. Many people just wonder what special is there in Candolim, which draws a large number of tourists and the reason come out of it is 'blissful solitude'. 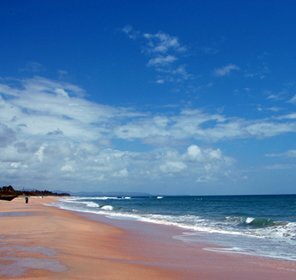 This beach is the ideal haunt for all those who look for rejuvenation, fun and serenity. Its quiet and tranquil atmosphere spellbinds many travelers. On the top of it, when you come to know that it's a home to plenty of water sports and other activities, then you'll never let it go. Candolim offers all kinds of water activities for adventure freaks. So, everyone should try your hand at jet-skiing, bump rides, banana rides, catamaran sailing, parasailing, water skiing, wind-surfing and other water sports. You can also experience thrilling adventure trip by taking a guided boat trip, where you can spot dolphins and crocodiles. One of the most adventurous and daring sports is Diving, which is also popular in Candolim. It gives a spectacular view while going under water. 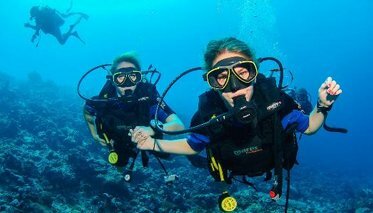 You can view the marine life and beautiful scenery of underwater that includes sharks, turtles, and barracuda. One should try diving around sunken Spanish and Portuguese wrecks which offer everlasting experience. 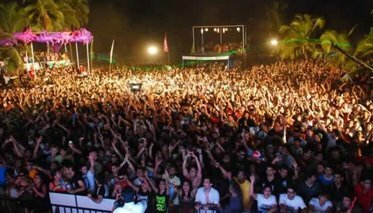 It's one of the popular electronic dance festival held in Candolim Beach for three days every year. During this festival, one can enjoy shopping, music, food, and have lots of fun & entertainment. 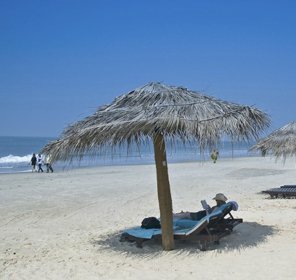 Hence interesting adventure sports, spellbinding scenery, and a unique festivity round the year make this place a worth stay during a holiday trip to Goa. Above all, sunbathing, shopping of handicraft items and eating are also interesting things to do, which should not be missed anyhow. 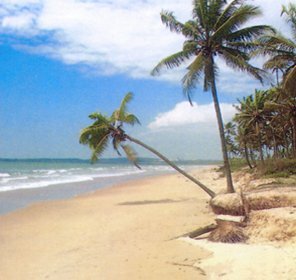 The Candolim Beach is an enchanting beach that stretches from Aguada Fort to Chapora Beach. There are plenty of places to visit near and around the seashore. 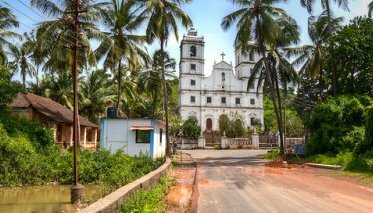 The diamond hazes of beach, picturesque view of churches and historical forts are ultimate spots in Goa. 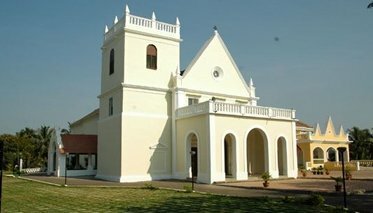 It is one of the best attractions in Candolim, built by the Portuguese in 1912. 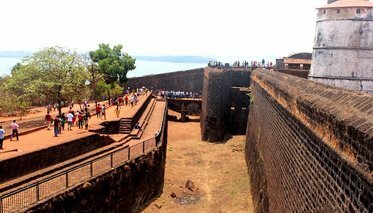 Along with it, there is church, lighthouse and the garrison of the Aguada Jail, which are also the part of tourist attractions. 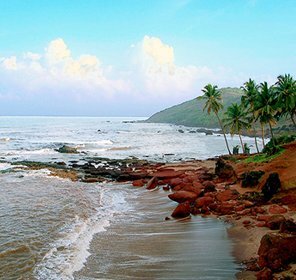 Towards the northern side of the fort, you'll observe a scenic beauty of Calangute and Candolim beaches, which are the most visited spots in Goa. 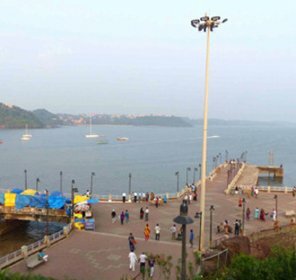 Located at the top of Sinquerim plateau, it will show you a spectacular view of different shades of life in Goa, where you may view Mandovi touching the sea, Panjim on the southern bank, and large cargo ships leading the way to the Mormugao port. 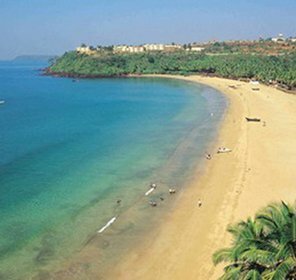 It is a popular attraction in Candolim, lies on the shore of Aguada bay. This Chapel has its feast day on 10th August every year. You can take a picturesque click of a striking mansion named as Placio Aguada. Dedicated to 'Our Lady of Hope', this church has an appealing look of a frosted icing cake. The specialty of this place is its excellent stained glass work inside and the rich paddies, which stretch up to the Periline. All these simply add a rustic beauty of the scene. Candolim Nightlife is something that you should not miss during your stay. It's one of the interesting places to see after the sunset. The nightlife combines with gauzy surprise and entertainment. Discos and clubs like SinQ, Shiro Nightclubs, Club LPK-- Love Passion Karma, Pharaos, are the main attractions in Candolim, where a large number of tourists flock this place to enjoy drinking, dance and music. These are the best place to listen to some hip hop and rock type DJ's music. The party over here goes overnight ensuring perpetual fun and craziness. During your stay, you may try the Stone House on Tuesday, Thursday and Sunday for cocktails & live music, raffles for the karaoke/Neil Diamond-sort of experience or if you wanna listen to Indian music, you may go 'Over the Flames' that is held on Monday & Thursday. For tipplers, there are some popular pubs and bars in Candolim, which can make the nightlife even more interesting. 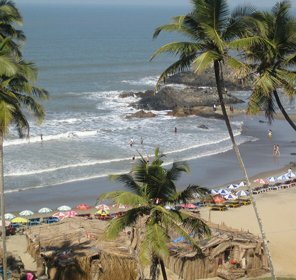 Dabolim is the nearest airport to reach Candolim, which is at a distance of 46 km. From the airport, you can hire car or taxi to reach the beach. The nearest railway station is located at Thivim (Thivim Railway Station), which is aprox.21 km away. It takes around 30 minutes to reach at Candolim Beach. Other railheads are Karmali (approx.21 km), Margao (44 km) and Vasco da Gama (approx.37 km). 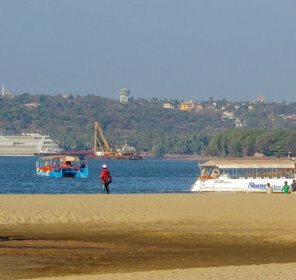 Candolim Beach is well connected to the Panaji Bus Station, which is at a distance of 12 km. There are many KTC (Kadamba Transport Corporation) and private bus operator from Panaji bus stop to Candolim. You can also take bus from Mapsua to reach Candolim in maximum 15 minutes. November to April. 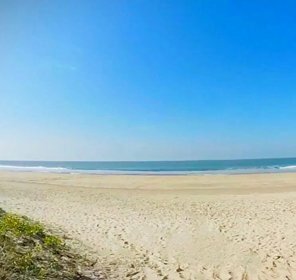 If you are bored with your daily busy life and want a holiday break from your schedule, then Candolim Beach would be the perfect choice for you. 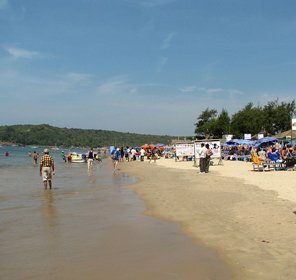 This is one of the best destinations in Goa for honeymoon couples and families. All can have a great time to spend together with their loved ones. 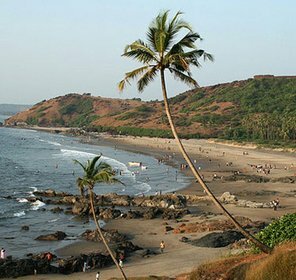 So, don't waste your time, choose the best package from Tour My India and enjoy the exciting beach holiday trip to Candolim with your loved ones.